On the precipice of Clare’s wedding, Edith (a total stranger) helps her realize what a big mistake she is about to make. Gathering all her courage, Clare breaks off her engagement to kind yet temperamental Zach. Weeks of anguish later, she receives a letter that informs her of Edith’s demise and that Edith has bequeathed a vacation home to her – the Blue Sky House. When Clare moves into this scenic property, she finds two ledgers that hint at a bigger picture. In an attempt to understand who Edith was, Clare and her bestfriend, Dev embark on a journey, connecting the dots of Edith’s far and wide imprint on other’s lives; in doing so, Clare discovers more about herself than she’d ever hoped to know. Now, the synopsis may appear to be ordinary, but PLEASE DON’T UNDERESTIMATE THIS BOOK. It is spellbinding, heartbreaking and basically, a huge warm hug! I am still hungover. The author’s writing style is poetic in bringing out the minute imageries of every scene. You get to read the chapters from Edith and Clare’s perspectives alternatively; which means you are shuffling between two time periods – the 1950s and the present. When you get to the end of the book, this structure will make perfect sense, as everything falls into place magically. Some of the initial chapters from Edith’s perspective were a little too slow paced which deterred me from really getting into her side of the story. But once you cross the first 20-30 pages, you can’t help but be in awe of Edith. The storyline is beautiful; it creates a tidy little package of what it means to be alive, paying tribute to seemingly all human experiences. Some of the themes explored in this novel are that of mystery, domestic violence, mental health, self-discovery, familial bonds and unconditional love. But as you read I’ll Be Your Blue Sky, you begin to notice just how much more flavor has been infused into it. You’d think that nothing could top off the very plot and her writing style, but hands down, this has some of the best characters I’ve ever read! No fluff or 1 dimensional characters. Each and every person in this book has such a unique vibe. It seriously made me reconsider what kind of characters I have been reading about for so long. Zach, although not one of the main characters, is highly bipolar and affects the story on a different tangent. I truly appreciate how violent and abusive behavior is dealt with throughout this novel. Edith, a female character to look upto, is righteous and so full of love for everyone. She has this knowing persona that convinces you she is more than just-a-normal-lady. Also, what a complex family unit! Thank you for making me love the idea of large families. 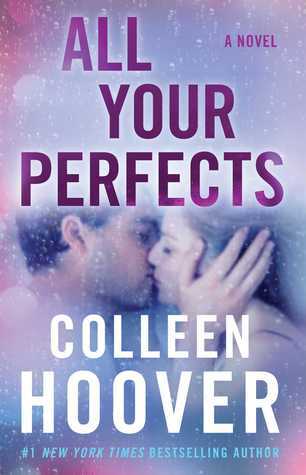 I wouldn’t say that this book is heavy on romance, because it goes above and beyond the love between a couple. Especially with regards to Dev and Clare’s equation, I feel like the author has hit home run in conveying something precious and real. Having said all that (I still want to say more), I want you to understand that no review would ever do full justice to what this book presents to its reader. 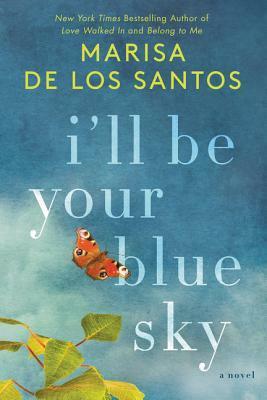 It fills my heart and soul to have immersed in the multi-tiered stories that Marisa de los Santos has penned down. If this book doesn’t win a Goodreads Choice Award in 2018, then I’d be so so disappointed! A MUST READ. Just please pick it up once it releases. Please. Ratings – 4.5 out of 5 stars. What do you get out of it? Life. This book breathes life into its audience as it unearths the life stories of several people bound by fate and blood. It stands for everything I love about writing and reading. Thank you HarperCollins and Edelweiss for giving me access to an e-galley in exchange for a review. How often have you googled recipes only to realize that the ingredients required are five times more than the number of servings or that the time needed to prepare the dish is a lot longer than what you’re ready to invest? With Jamie Oliver’s 5 Ingredients Quick Easy Food, you don’t need to worry about a thing! It has clear cut instructions, pictures of ingredients, so you know exactly what’s required and drool-worthy snaps of the end product. If that’s not motivation, I don’t know what is. From basic dishes like egg fried rice and and steak sandwich to extravagant meals like smoky mushroom frittata and succulent lamb stew, this cookbook offers something for everyone. Split into 11 sections based on the nature of the dish (veg, fish, salads, sweet treats, pork etc. ), this volume is diverse and incorporates different cuisines. So now, you can cook as per your mood and have a fabulous meal ready in no time! Concerned about nutrition? Flip to the very end where you’ll find tons of information about staying healthy, straight from a nutritionist. Skim through to whichever section you prefer at that moment. The structure and form of each recipe. Ingredients to the left, final product to the right and some basic instructions in the middle. Made the Egg Fried Rice and Quick Steak Stir Fry. Cooking is not one of my favourite things to do. And yet, when I had a glimpse of what this book offers, I knew I had to get a copy. I was pleasantly surprised by how everything had been made convenient for the reader. For starters, the instructions to each and every recipe are written in a simple and direct manner, that too in just a couple of paragraphs. More often than not, I’ve found that lengthy procedures make the whole ordeal even more troublesome because you have to take care of so many elements. Since the specialty of this book is that all the dishes were made out of 5 main ingredients, it was very comforting. Secondly, the structure of this book earns major brownie points. Each section has 9 – 12 recipes on average. That way you don’t need to run to the grocery store, every time you intend to cook. 85% of the ingredients are basics like eggs, sugar, meats, sauces, bread, vinegar and so on. The only thing that bothered me a little is that a select few of the sauces and vegetables aren’t as easily available where I live. Another thing that I really liked about this cookbook is that pictures of the ingredients are aligned to the left in a strip format. So you can flip through the pages and pull out recipes relevant to ingredients that you have at home. 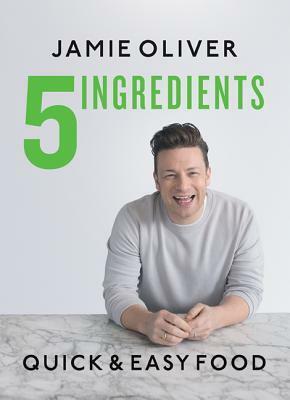 You can’t go wrong with a cookbook that has been put together by a renowned chef such as Jamie Oliver. All of the dishes look really enticing. I’ve tried out three recipes at random, and true to the word, they have all turned out spectacular with minimal effort! *pat on the back* I highly recommend this book to everyone, even if you’re not much of a cook. Don’t be intimidated by the names of the dishes, they are as easy as can be. Get a copy and see for yourself! What do you get out of it? You learn how to cook different cuisines with ease, while retaining the quality of the dish. Quick, quality cooking at your fingertips. 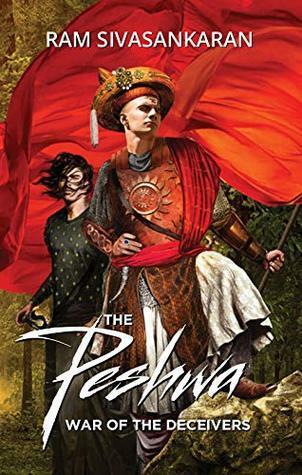 Thank you Pan Macmillan India for sending me a copy of this book for review. Summary – The unprecedented death of a healthy man during a minor surgery launches the super chief resident of Boston Memorial Hospital, Noah Rothauser, into investigating the ethical stance of doctors at BMH. But little does he know that he has been expending his efforts in the wrong direction. His discoveries lead him to question his judgment of people, thrusting him into a vortex of gradual disintegration. When his career as a surgeon is threatened, Noah finds himself jumping on a flight out of the city, to trace the root of the problems. Robin Cook’s Charlatans delineates the world of medicine and fraudulence with astounding clarity. 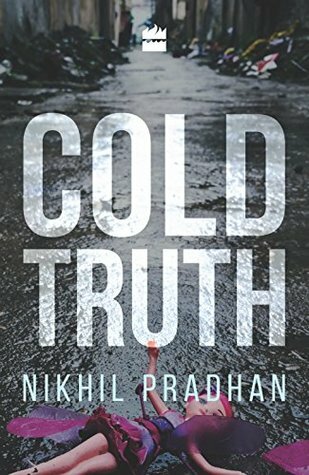 Review – What started out as an overwhelming trip to the ORs and a close monitoring of Noah Rothauser’s daily schedule soon picked up pace and became the most gripping medical-mystery I’ve ever read! 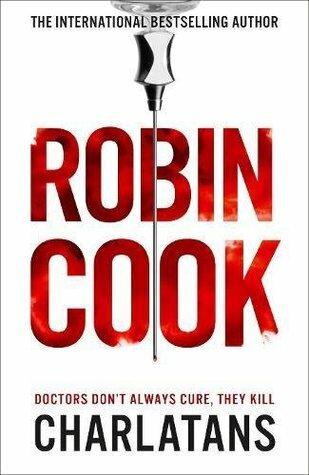 I never thought I’d be intrigued by surgeons and their job, but Robin Cook’s careful interspersing of conflicts and elements of suspense made the whole story very interesting. The plot in itself is commendable because it compels you into thinking just how reliable our lifesavers are, be it doctors, lawyers or even the police force. Themes of betrayal, suspicion and romance add the necessary sparkle to prevent this chunk of a book from being boring. His writing style is wordy and yet easy to grasp. There were times when I was wondering why we are privy to every minute detail of the happenings in a day. Creating extraordinary characters and fleshing out the process of their unraveling seems to be something Robin Cook is great at. I was equally mesmerized by the actions and thought processes of Noah as well as Dr. Ava London. It is said that they are “two peas in a pod”, but they are actually quite the opposite of each other. Neither of their personalities is predictable by a far shot. They possess such a surprising bunch of qualities. Although I’d hoped that Noah would grow a bit of a backbone. That being said, parts of the mystery became predictable for me because of nagging doubts that took root early in the story. Even Dr. Mason, one of the villains, is imbued with such annoying qualities that it elicits a strong response from the reader. As far as the characters are concerned, Charlatans presents something new. I really liked the inclusion of social media as a theme that is vital to the millennial generation. This novel successfully portrays the transience of morals, identities in a day and age that is governed by social media. The climax and the aftermath were inevitably shocking. Just when you begin to think that you’ve figured it all out, you’re proven wrong. This book is a must read and won’t allow you to come up for air! What do you get out of it? In addition to understanding the workings of a hospital, you get an insightful glance at modern technology’s role in creating charlatans. Plus some fantastic character arcs! Today I am going to review the entire trilogy of Gods & Monsters by Kelly Keaton. Worry not, there wont be any spoilers for those who haven’t read the whole series. I will be just briefly talking about the plot, characters, and stuff. 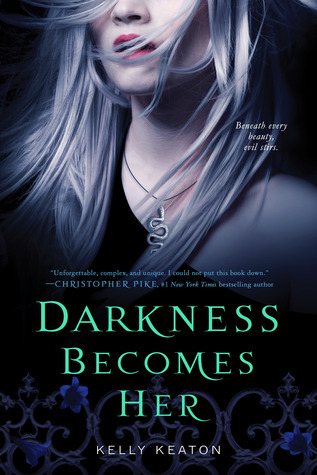 The Darkness Becomes Her trilogy by Kelly Keaton follows Aristanae, a girl who has for a long time been uncertain about her origins. Having been adopted at a young age, she has no clue about her birth parents or why there is a sense of discomfort deep within her. One day she ventures into the forbidden area of New 2 – where everyone isn’t quite normal – with the purpose to find more about herself. What she discovers is far from anything she could’ve ever imagined. Regardless of how much she wants to deny the truth, it all makes sense and she must learn to accept the choices made for her. But here too, amidst the whispered glances, she sees a kind of wariness in others. As the book progresses, faces of demons from history loom before her. One wrong decision and New 2 is once again reduced to dust. And this time it will be all her fault. 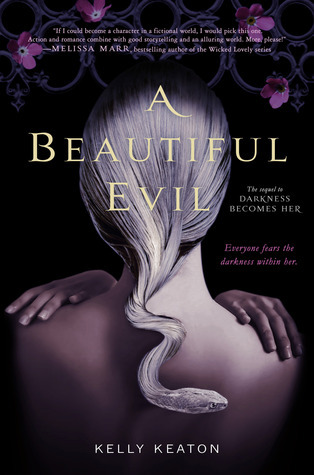 A Beautiful Evil and The Wicked Within pick up after heart wrenching cliff hangers. A War. Many Losses and A New Threat. People who once stood by her are being flung off the game board and soon she must be strong enough to escape a prison that no one has before. Filled with lots of shocks and surprises, the trilogy is a piece of wonder and addiction. Ari is not only being pitted against a God far more experienced than herself but must also face the rigid heads of New 2 when the Hands of Zeus, a relic integral to establishing peace in New 2, goes missing. I read these books months back and didn’t get a chance to review them. But they are so terrific and not many people know about it, so I just want to hold a banner and scream how awesome this trilogy is. Firstly the plot – brilliant concept! Who would’ve thought that Kelly Keaton could take a villain of mythology and bring out her side of the story. Not many people give that kind of importance to the anti heroes and so Kudos to the author for even thinking of such a perspective. All three books were very well thought out and there weren’t any draggy sequences. When New Orleans was destroyed years ago, three founding families came together and rebuilt it as New 2. But the secrets of the three founding families has made it a “weird personnel only” area and even the Government has washed their hands off New 2 & its inhabitants. Ari is really brave for even stepping foot into such a place but soon she grows close to a family of youngsters there – Sebastian, Violet, Crank, Henri and Dub. I think building a house of kids and teens who work for each other was another plus point of the novel. They really help her figure things out. The romance in the novel revolves around Ari and Sebastian. Which made the third book all the more disheartening. Ari makes a huge mistake and we as readers are left clutching what is left of a shattered heart and mind. Yeah, that’s how much drawn I was to the trilogy. Sebastian’s grandmother who is the head of one of the families is a rather annoying and meddlesome character. I really adored Violet and her fascination with gowns, masks. She made me think of a cute little crocodile, for some reason. The book focuses on Pandora’s story too as well as that of some Greek Gods. 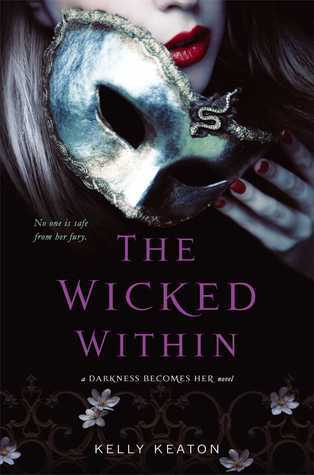 I have loved New Orleans ever since The Originals and this book had tons of that, so thumbs up! With a new take on mythology and fantasy, Kelly Keaton deserves a standing ovation for a job so brilliantly done. Overall, one of the best trilogy I’ve read in a long long time.